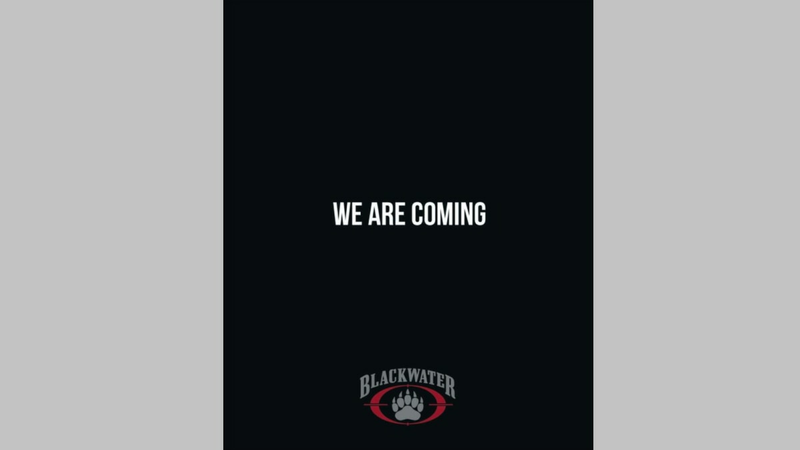 Blackwater USA took out a full page ad in the January/February 2019 issue of "Recoil" magazine with the company's logo and a message: "We are coming." This article has been edited to clarify that Constellis no longer trains forces at Camp Integrity and that Blackwater, if it returns, would not have a connection to Constellis. Secretary of Defense Jim Mattis is out. Mattis' resignation comes amid news that President Donald Trump has directed the drawdown of 2,000 U.S. forces in Syria, and 7,000 U.S. forces from Afghanistan, a U.S. official confirmed to Military Times, a story first reported by the Wall Street Journal. Is the war in Afghanistan — and possibly elsewhere ― about to be privatized? If Blackwater returns, it would be the return of a private security contractor that was banned from Iraq, but re-branded and never really went away. By 2016 Blackwater had been re-named and restructured several times, and was known at the time as Constellis Group, when it was purchased by the Apollo Holdings Group. Reuters reported earlier this year that Apollo had put Constellis up for sale, but in June the sale was put on hold. A representative for Constellis told Military Times late Friday that while it had acquired the former Blackwater training center in the 2016 purchase, it has no affiliation with the former security firm. It did not retain Blackwater’s founder and former CEO Erik Prince and has no current connection to him, or the firm’s former management structure. Prince has courted President Donald Trump’s administration since he took office with the idea that the now 17-year Afghan War will never be won by a traditional military campaign. Prince has also argued that the logistical footprint required to support that now multi-trillion dollar endeavor has become too burdensome. Over the summer and into this fall Prince has engaged heavily with the media to promote the privatization; particularly as the Trump administration’s new South Asia Strategy, which was crafted with Mattis, passed the one-year mark. Constellis, which had maintained a footprint at Camp Integrity by the Kabul Airport through its previous iteration as “Academi." The firm no longer trains there, the Constellis spokesman said. The U.S. has spent $1 trillion in Afghanistan. The Blackwater founder asks, is it time to try something new? The news of a leaning on a smaller number of privatized forces, instead of a larger U.S. military footprint — and contracted support for U.S. forces that knew few bounds and at times included coffee shops, base exchanges, restaurants, a hockey rink and local vendor shops — may be welcomed by current U.S. military leadership on the ground. That includes former Joint Special Operations Command chief Army Lt. Gen. Scott Miller, a source familiar with Miller’s approach told Military Times. Miller replaced Gen. John Nicholson as the head of all U.S. and NATO forces in Afghanistan in September. In an previous exclusive interview with Military Times, Prince said he would scrap the NATO mission there and replace the estimated 23,000 forces in country with a force of 6,000 contracted personnel and 2,000 active-duty special forces. The potential privatization of the Afghan War was previously dismissed by the White House, and roundly criticized by Mattis, who saw it as a risk to emplace the nation’s national security goals in the hands of contractors. “When Americans put their nation’s credibility on the line, privatizing it is probably not a wise idea,” Mattis told reporters in August. But Mattis is out now, one in a series of moves that has surprised most of the Pentagon. Drastic change would “be more likely” now, one DOD official said.